World's Fastest Gamer Debuts August 25 during Formula 1 Coverage on ESPN2 - ESPN Press Room U.S.
A four-episode series on the McLaren Formula 1 team’s search for a simulator driver will debut on ESPN2 during the weekend of the upcoming Formula 1 Johnnie Walker Belgian Grand Prix. The four half-hour episodes of World’s Fastest Gamer powered by Millennial Esports will air on Saturday, August 25, beginning at 7 a.m. ET between live coverage of Practice 3 from the Belgian Grand Prix and live Qualifying. In addition to airing on ESPN2, the programs also will be streaming on the ESPN App. Specifically produced for ESPN, the series will tell the story of why Millennial Esports and McLaren reached into the rapidly-growing world of Esports and Gaming to locate racing talent. From thousands of gamers racing online, 12 were chosen to be taken to the McLaren Formula 1 facility in England to compete head-to-head for a contract as McLaren’s simulator driver. 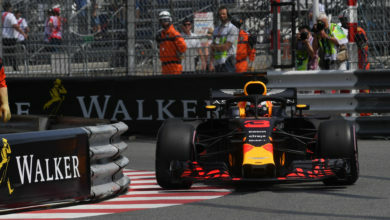 After the debut on August 25, each episode will re-air a number of times throughout the remainder of 2018 and leading into the 2019 Formula 1 season.